It’s that time of year again! 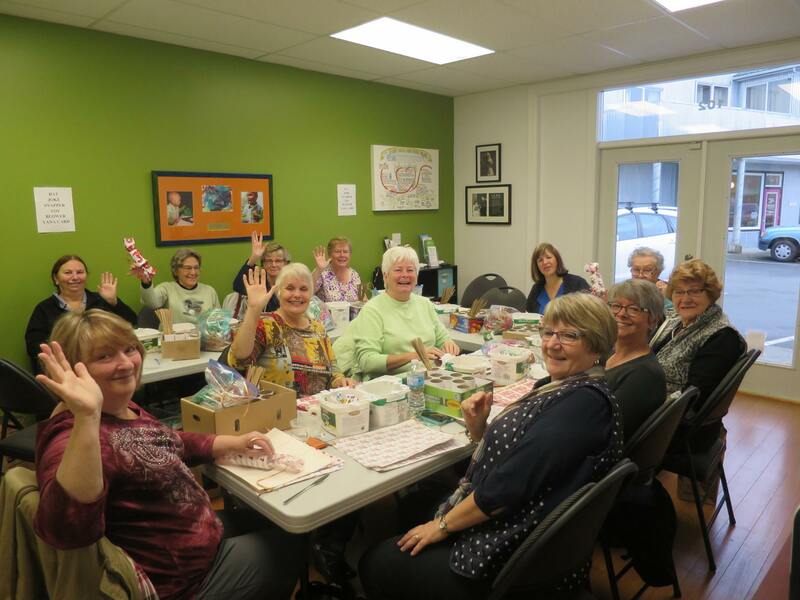 YANA’s doors are open to crafting volunteers Monday, Wednesday and Friday 10am to 2pm starting October 11 through to November 10. We have 5,000 Christmas crackers to make and we would love your help! No appointment necessary, just bring yourself and your craftiness. All supplies provided. Our office is located at 102-2456 Rosewall Crescent (Tin Town) in Courtenay. Please join us at the YANA office (102-2456 Rosewall Crescent) this Thursday, October 5 at 6:30pm for our Annual General Meeting. Learn about how YANA helps and the generosity of our community. Meet our board and staff. Bring $1 to become an annual member. We might even have cookies! 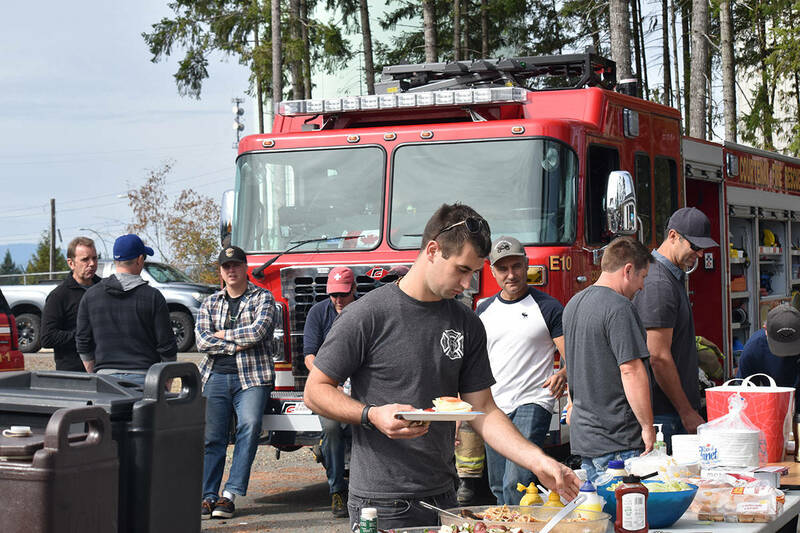 Firefighters and other first responders in the Comox Valley were honoured on Saturday, Sept. 23 at a barbeque fundraiser in Courtenay. 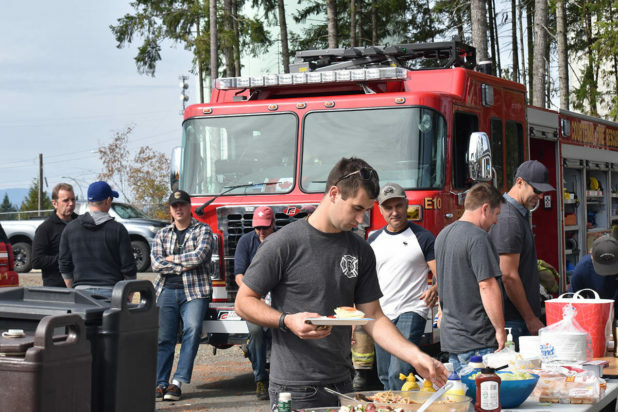 The Comox Valley ATV Club put on the fundraiser, which featured a free BBQ lunch for first responders (others paid $5 per plate). Along with the barbeque, the fundraiser included live music from a singer/guitar player, face painting for kids and a 50/50 draw. While recognizing emergency first responder groups was the fundraiser’s focus, the $1,463 in proceeds will go towards the You Are Not Alone (YANA) Society. 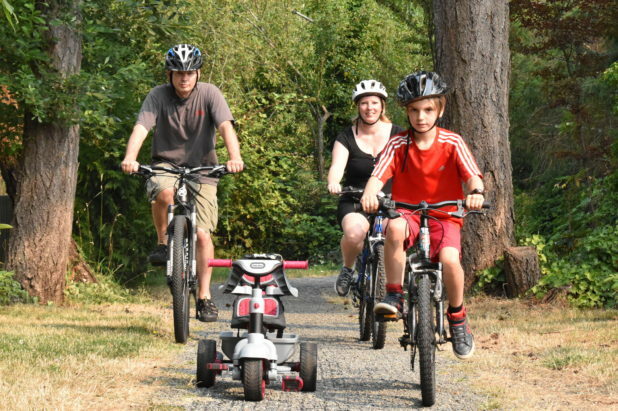 YANA is a community organization that offers travel and accommodation funding to families in the Comox Valley that need to travel for medical reasons. This was the second time the now-annual fundraiser took place. Last year the ATV Club raised about $460 for YANA. “My goal was to beat that by even a dollar but before we even started this year, we were already $300 over [last year’s total],” said Meszaros. The pledge site will remain open until August 31, however, meaning there is still time for the final tally to increase. YANA is a community organization thats offers travel funding and accommodation to Comox Valley families who need to travel for medical reasons. Money raised from the annual fundraiser goes to support its programs. Our community has helped us create something very special with the Simon’s Cycles YANA Ride. 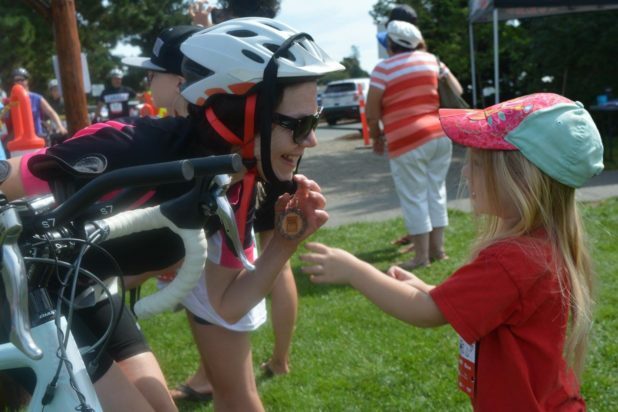 Cyclists, volunteers, donors and sponsors brought their best and it showed. Together we raised $62,000 for Comox Valley children and families. Thank you! What a ride! We are still tallying monies raised and will have a total soon. Until then, have a peek at some beautiful memories of a very special day of cycling and community spirit in the Comox Valley. Find photos here. Simon’s Cycles YANA Ride is a day away and 600 cyclists will be riding in this annual event to raise funds for YANA. Starting and ending in Marina Park, Comox, the ride is a celebration of community support for Comox Valley families. Russ and Lori Ball of Audio Xcellence DJ Services are in the celebration business. After 23 years in the DJ business they count the Simon’s Cycles YANA Ride as a favourite. The upbeat soundtrack livens up the morning as cyclists leave the park and keeps the fun spirit going, all day. “It really keeps the atmosphere of the event vibrant,” says YANA Community Relations Coordinator, Ocean Varney. Volunteering their time is part of what Russ and Lori say is a priority for them, personally and in business. “We love seeing all the families with their kids and their bikes, we wouldn’t miss it,” states Russ. Best of all, they take requests! 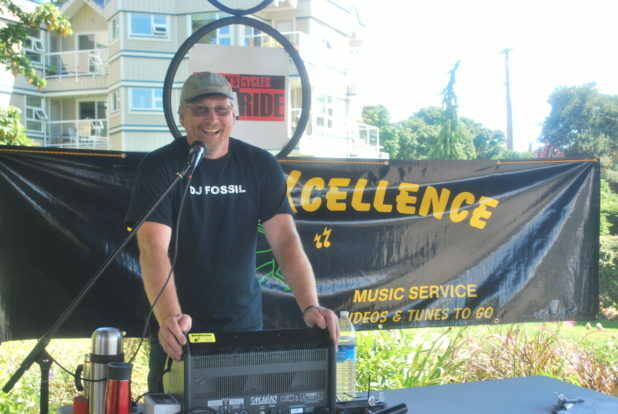 The Simon’s Cycles YANA Ride registration site will be open until 11:59pm Friday, August 18th OR until such time as 600 cyclists have registered. No registration will be accepted on ride day. Route changes can be accommodated at the check-in area, but pay close attention to the event schedule as different routes leave at different times (below). To register or pledge a rider, click here. Instead, the family of Natasha Vipond will ride in the Simon’s Cycles YANA Ride fundraiser on August 20 in her memory. Natasha’s death followed over a year of exhausting hospital stays, medical appointments and travel out of town for the family. That’s when YANA stepped in. The Comox Valley-based non-profit has, since 1986, offered financial assistance and accommodation to families whose children require out-of-town medical care. YANA also keeps four apartments close to BC Children’s Hospital for families like the Viponds. The ride is also a chance to share the story of their daughter, whom they nicknamed ‘Tashy Smashy’ – an unstoppable force of silliness and laughter who would not let medications and medical equipment prevent her from reaching for and throwing her favourite toys or laughing with nurses after finishing a medical test. To read Vanessa’s story, visit www.yanacomoxvalley.com/stories or head to Facebook to see a page Vanessa set up for Natasha at www.facebook.com/NatashaHeartJourney. 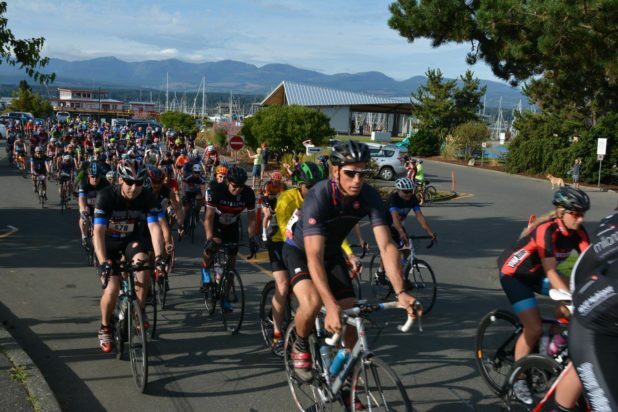 The Simon’s Cycles YANA Ride returns to the Comox Valley on Sunday August 20. 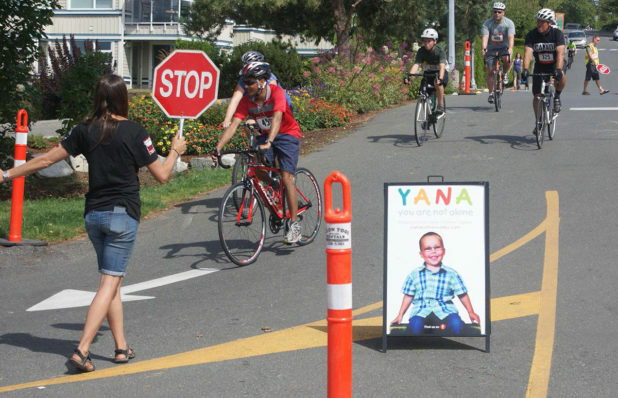 The bike ride is a fundraiser for YANA and provides a fun, challenging and unique ride through the beautiful Comox Valley. 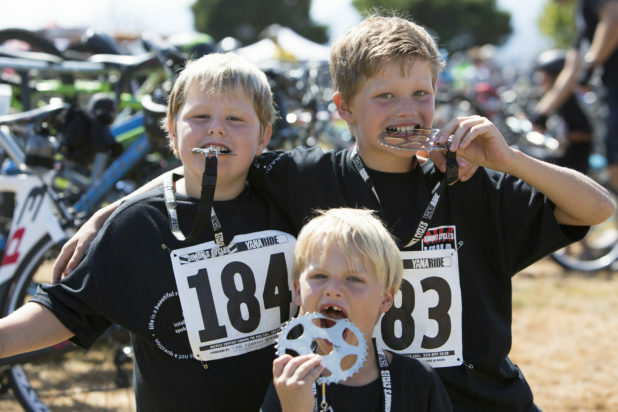 There are routes for cyclists of all ages and ability, choose from a 6km, 25km, 50km or 100km ride. All participants will receive a congratulatory medal, discounts at Simon’s Cycles and enjoy a post-ride lunch with music from Jilli Martini. Thanks to the generous support of lead sponsor Dr. Andreas Conradi, cyclists registered before July 21st will receive a free Simon’s Cycles YANA Ride t-shirt. This year Air Canada is encouraging participants to fundraise in a big way. For every $100 raised in pledges riders are entered to win two return tickets for travel to any Air Canada scheduled destination in North America, a prize valued at $2,800. 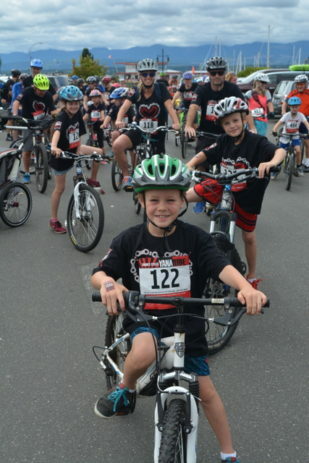 Over 150 volunteers and a peleton of sponsors provide their support to cover event expenses, which ensures that all money raised goes directly to local families. YANA is a registered charity available to Comox Valley families who need to travel for the medical care of a child under 19 or a pregnant mother. YANA offers accommodation and provides funding to help with expenses while families are away from home. Sandra Williams founded YANA in 1986 after suffering the emotional and financial devastation which resulted from her daughter’s diagnosis of congenital heart failure and lengthy medical treatment in Vancouver. Williams and her family committed to building an organization that ensured Comox Valley families would have the support of their community during such stressful circumstances. YANA is proud to be the steward of Williams’ legacy and assists with over 400 medical trips each year, supporting hundreds of children and families. “The Simon’s Cycles YANA Ride is all about the love of riding, the love of community and bringing that together. If you want to have fun and also do something active and good for your community join us on August 20,” explains YANA’s Executive Director, Marcie Dumais. For more information or to register for the Simon’s Cycles YANA Ride, visit yanacomoxvalley.com.